Um alle neuen Sachen auszuprobieren werde ich einige Zeit brauchen - und bis dahin sind vermutlich schon wieder neue Dinge eingetroffen - alles spannend. Jetzt wollte ich mal wieder weniger weiße Karten machen - ist auch gelungen. 1) Der hübsche Roboter von - oh Wunder - Alley Way Stamps. Both cards are great! 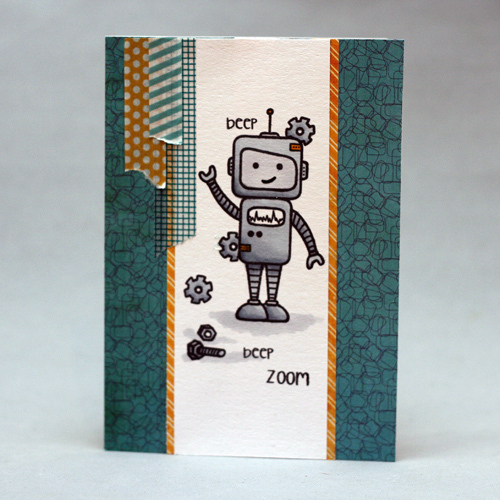 Love the robot on the first one and the stars on the other with the washi tape in the negative space. Thanks for joining us this week at Sentimental Sundays. What an adorable robot card - both cards are cute, but I love the robot. Your background paper is perfect for it and I love your transparent flags. Thanks for playing along with us at Sunday Stamps. 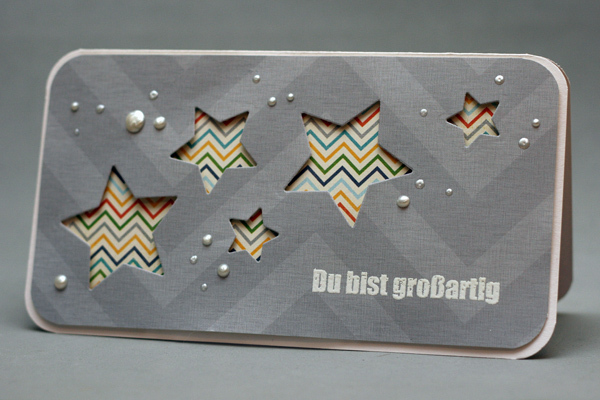 Verrätst Du mir, woher Du das graue Papier von der Sternkarte hast? Wie heißt es und wer ist der Hersteller? Your card with stars looks so cool! 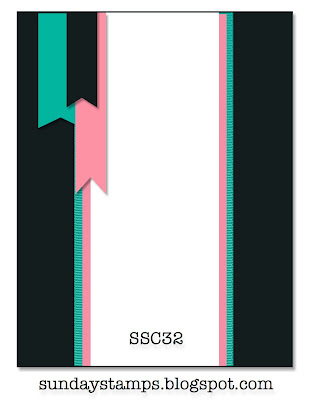 Love the modern look of it, with the grey base and the chevron patterned colorful paper! The pearls are such a nice touch! Two great cards. I love the robot...is it a get well card? The star card caught my eye in the long and short challenge. Super. What a cute card! Love the robot and the colors of your card. Glad you joined us this week at Sunday Stamps. Love the stars peeking through! Both cards are fabulous! Thanks for playing along with us this week at CAS-ual Fridays! Oh wow! Your card is incredible! Thanks so much for playing along with us at CAS-ual Fridays! Great cards. The robot one is especially adorable. Love the image and the way you did the banners. Thanks for joining us at Sunday Stamps this week! These are both really cute! 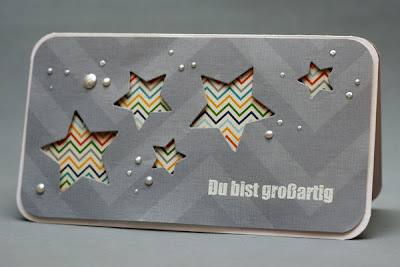 I LOVE that second card with the peek a boo stars & fabulous pearl dots!! Lovely job!